The works of the young Norwegian designer Daniel Rybakken were exhibited in Salone Satellite 2010 Milan. Impressed by the nature of natural daylight Rybakken explores the stimulating effects of daylight through the use of artificial lighting. Having studied carefully the principles of daylight within a given space this young designer has examined through intensive research the “signs” which natural lighting provides to the human mind. 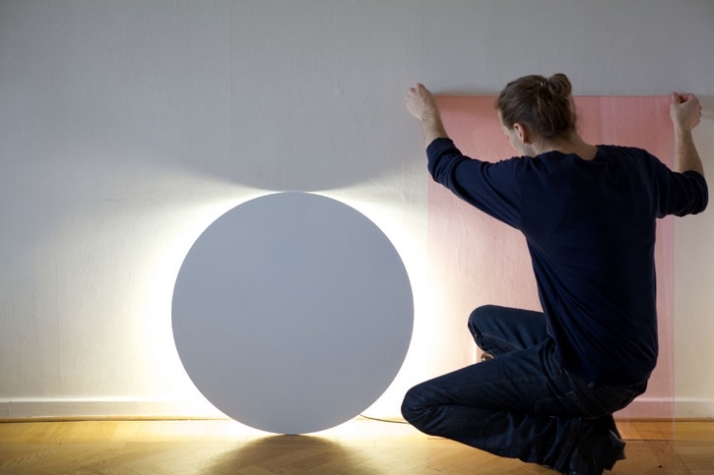 Through a thorough study of daylight Rybakken developed a total of seven different lighting design projects from 2007 - 2010. These projects not only enhance the space which someone is found in, but also enhance the mood and the psyche of Northern countries which do not enjoy the abundance of natural day light. 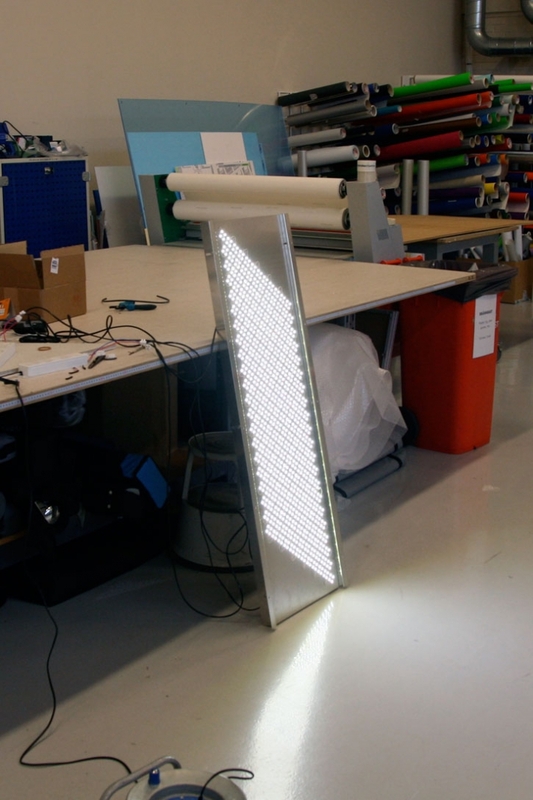 Living in Scandinavia has without a doubt influenced Rybakken on his experimentation with daylight. For long time periods throughout the year, Scandinavians enjoy limited natural lighting; the concept is targeted for Scandinavian users especially. However, it does not limit it from being used as a design object in any other space. Daylight tends to increase the space which you are in, hence when daylight is absent from a space, the space appears to decrease and a significant contrast between the indoors and the outdoors exists. For most people the contrast shaped between indoors and outdoors creates a feeling of loneliness, a sense of self enclosure, a kind of social screen as Rybakken claims. Rybakken’s idea was to create an unconscious feeling as he expands the room and minimizes the contrast to only create an illusion of natural daylight. 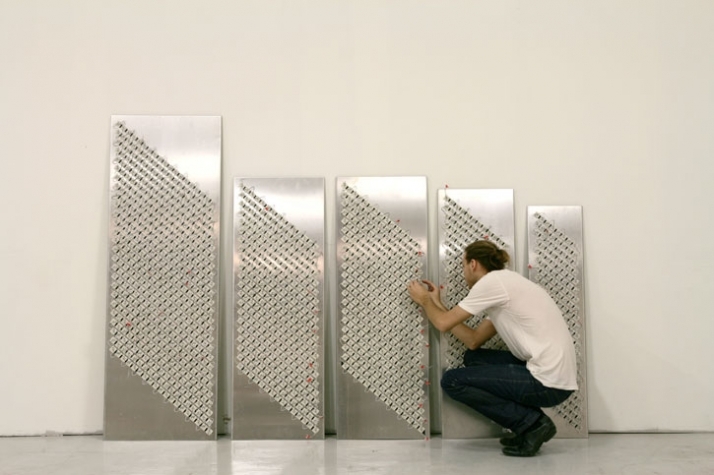 In the past Rybakken has presented his projects Daylight Comes Sideways (2007), Subconscious Effect of Daylight (2009) and Aluminum Mirror (2009). 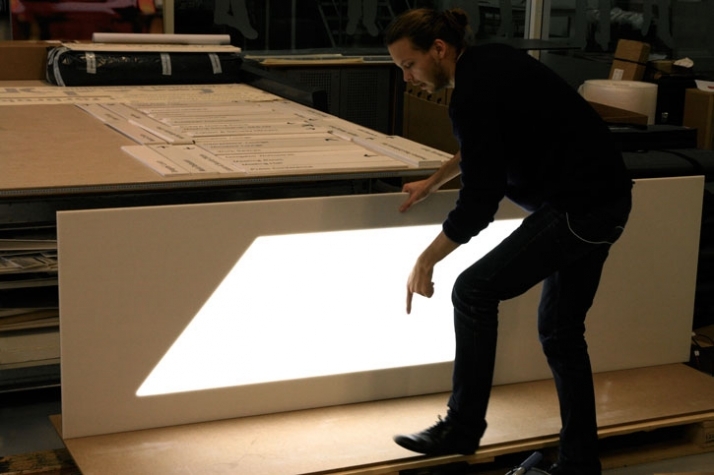 In Salone Satellite 2010 we had a closer look at Daylight Entrance which is an architectural installation located in the entrance of an office building in central Stockholm which replicates sunlight in a dark area creating an illusion and making it seem as if the place is very well lit from a window near by. 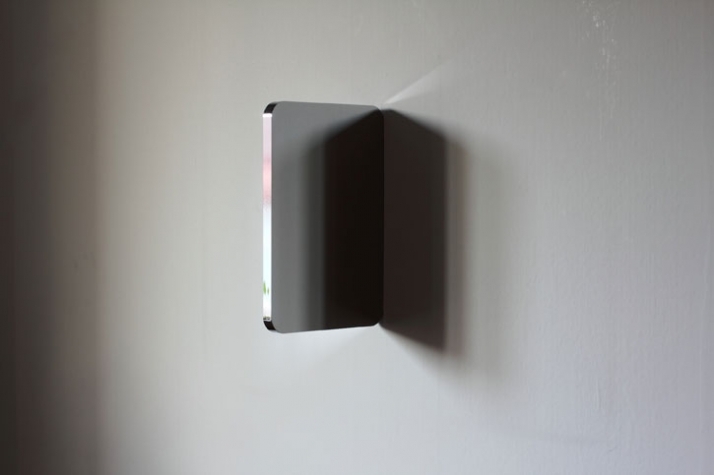 Another project which caught our attention was the Right Angle Mirror which is a “by-product of the Aluminum Mirror which creates multiple angles of reflection through four wall-mounting options and numerous freestanding positions. The reflections and shadows cast on surrounding walls, and curves touching the wall create an illusion of suspension in space.” And last but not least, Colour which was created in collaboration with Andreas Engesvik; the project aims in combining color and the composition of shapes. 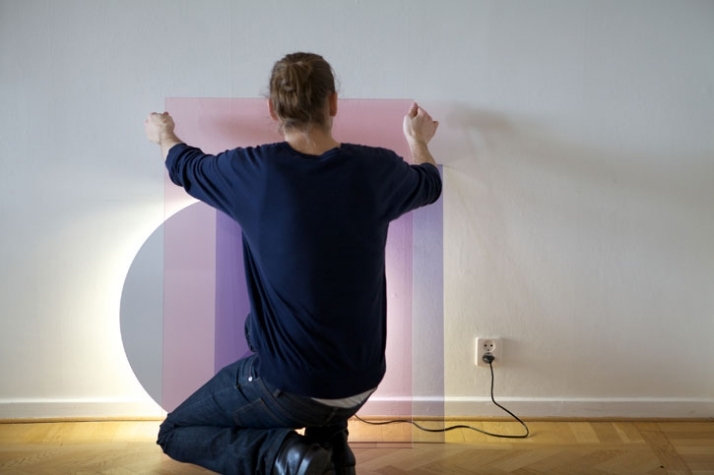 Despite his concepts on the study of daylight this project allowed Rybakken to investigate the ambiance created by the effect of colored lighting. 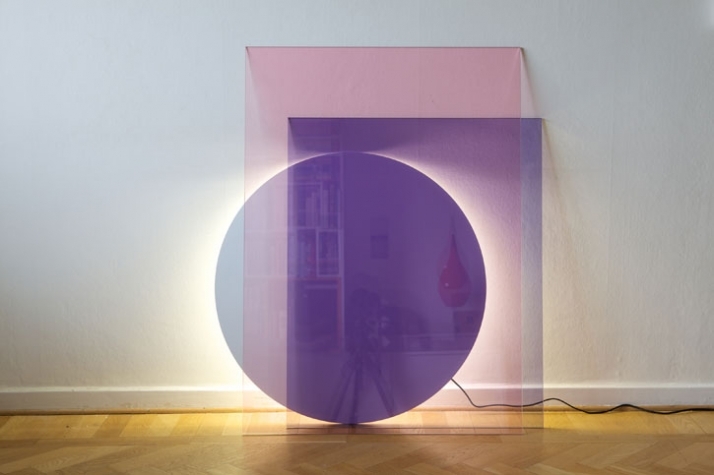 Using sheets of colored glass freely standing in front of a light source he tempts the user into creating his own synthesis by mixing variations in shades of color. 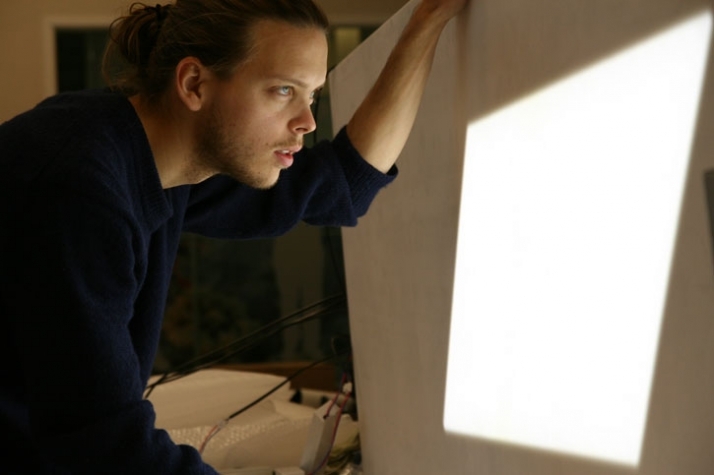 His projects are based on thoughts and ideas behind the subconscious effect of daylight as they generate a dynamic recreation of natural light by creating artificial shadows from objects outside the given space. His thoughts and his ideas seem to be of great interest as they are successfully applicable to projects. Furthermore, Rybakken’s Daylight Entrance project just got nominated for Sweden’s biggest design award “The Swedish Design Award;” we at Yatzer wish him best of luck in his nomination and his career!